​Lazy P Creations for sponsoring every queens dream! These chaps are definitely one of a kind! We love new sponsors too! Our newest major sponsor Yee Haw Country Outfitters! Thank you for providing a custom American hat for MRKSU! The MRKSU Pageant cannot boast about its AMAZING sponsors enough! Check out the snazzy tack by Graham Equine! 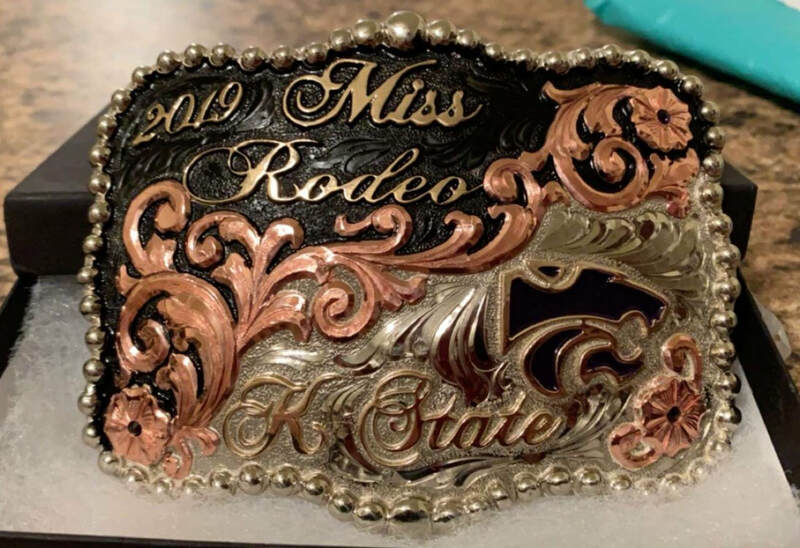 ​Big shout out to Danenberg Jewelers for making the Miss Rodeo K-State crown sparkle!! -sponsoring the MRKSU buckle going on 3 years now! Thank you to Valley Vet Supply for keeping Miss Rodeo K-State in purple halters every year!